Education leaders are advising decision-makers on improving school outcomes and rethinking school system at every level. – Poor user experience for all stakeholders (teachers, administrators, parents, and students). – Saving time of teachers. Teachers can concentrate on improving educational value instead of dealing with permission slips, processing, handling, and recording payments. – Saving time of administrative staff. Moving payments to the digital level frees school administrators from the tasks for handling cash and processing card payments. – Reduced number of late payments. Automated processes save school time spent on chasing late payments. – Reduced sensitive data risk. Schools are no longer responsible for credit card data security and timely updating. – Improved record keeping. Digitization opens secure storage and tracking capabilities preventing transaction data losses. – Superior user experience. PayTech solutions enable busy parents to pay in a comfortable and streamlined way increasing their engagement. – Improved security. Digital payments rely on a secure and stable banking infrastructure ensuring safe transactions. Reduction in the cost of payment processing (by up to 60%) demonstrates enormous saving potential for a sector that suffers underfunding and is continuously facing the challenge of delivering the best educational outcomes without increasing the budget. PayTech solutions require upfront capital investment and ongoing fees. Most solutions apply a fee based on the transaction value. 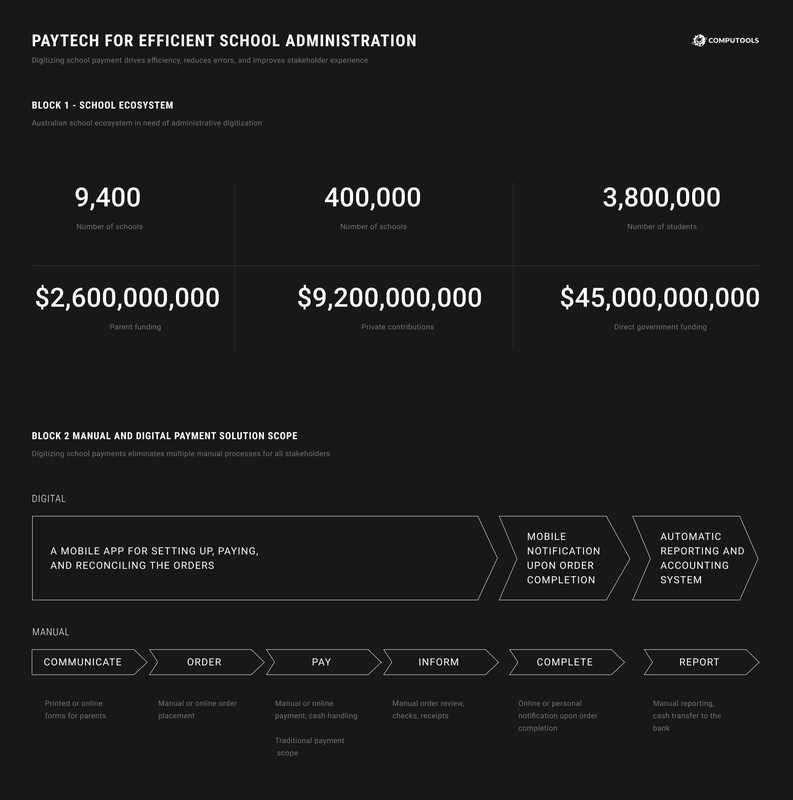 Beside monetary expenses, schools also have to invest time into promoting the adoption of digitized payments and educating stakeholders on using the chosen PayTech solution. But despite initial time and resources investments, improved efficiency and shortened processing time reduce the overall cost of handling transactions. – Existing transaction system assessment. Digitization is most beneficial for schools with a wide variety of transaction types and payment process flows. – Ideal outcome and criteria setting. To be efficient, PayTech solutions focus on realizing one or two outcomes and transaction types. – PayTech options identification. Multiple payment solution are available, but few meet the desired criteria and outcomes. – Options evaluation. Trials testing the performance of PayTech solutions against the outcomes and criteria to identify the best fit. – Business case development. High-performing options get compared by cost and expected benefits value. – Provider selection. The PayTech vendor offering the best performance and value is selected to fulfill the school’s digitization needs. 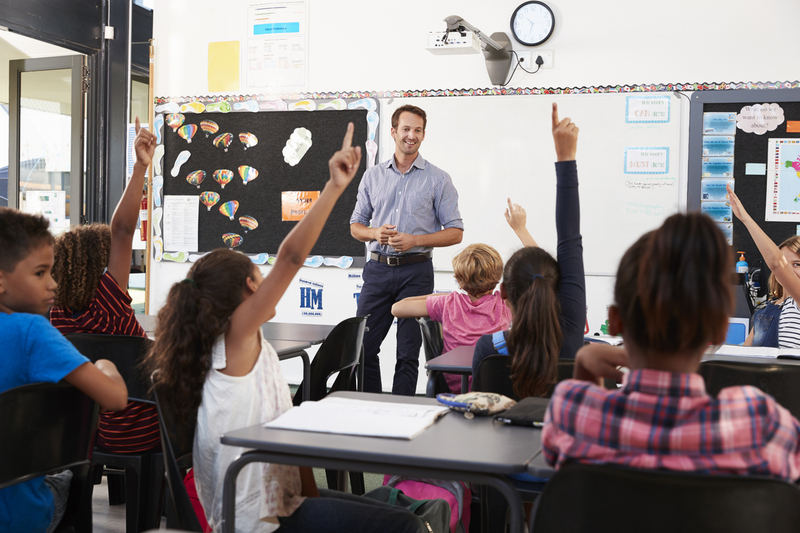 Use cases of PayTech solutions, such as Qkr by MasterCard, adopted by schools demonstrate significant time (268 days annually) and cost (60%) savings. Education leaders appreciate the potential and are advising decision-makers on improving school outcomes and rethinking school system at every level.